News flash: our kids love video games. But they also love to help cook in the kitchen. 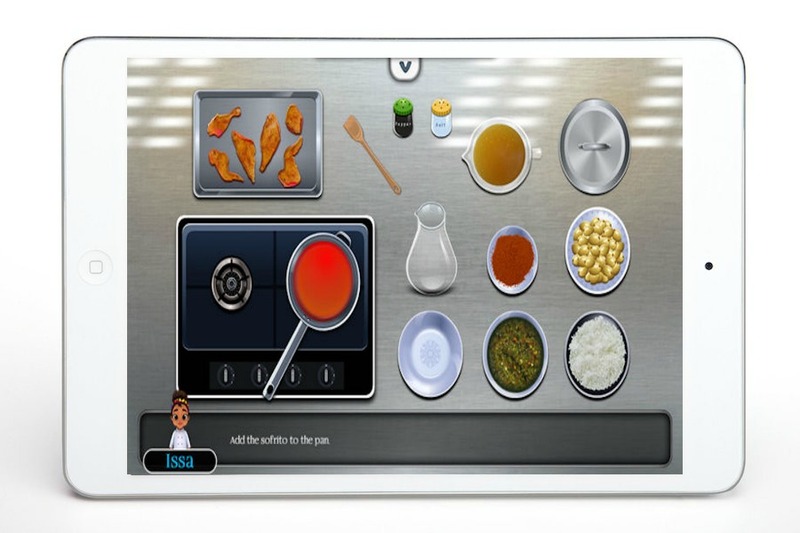 So when we saw that the new Issa’s Edible Adventures app teaches them to cook virtually and IRL, we knew we had to try it out. It’s part Carmen Sandiego, traveling the world to collect ingredients, and part Cooking Mama, measuring and mixing to make the dish correctly, both of which make it super fun. When you’ve completed the cooking challenge — with exciting, international recipes like Arroz con Pollo and Ethiopian Gomen — you get the real recipe added to your collection, so you can head to the kitchen and cook it yourself. And if this means my kids will be willing to try Ethiopian Gomen, I’m totally game. Read our full review of Issa’s Edible Adventures over at Cool Mom Eats. It’s really, really fun. And make sure you’ve joined our Recipe Rescue Facebook Group, for lots of meal tips and tricks.